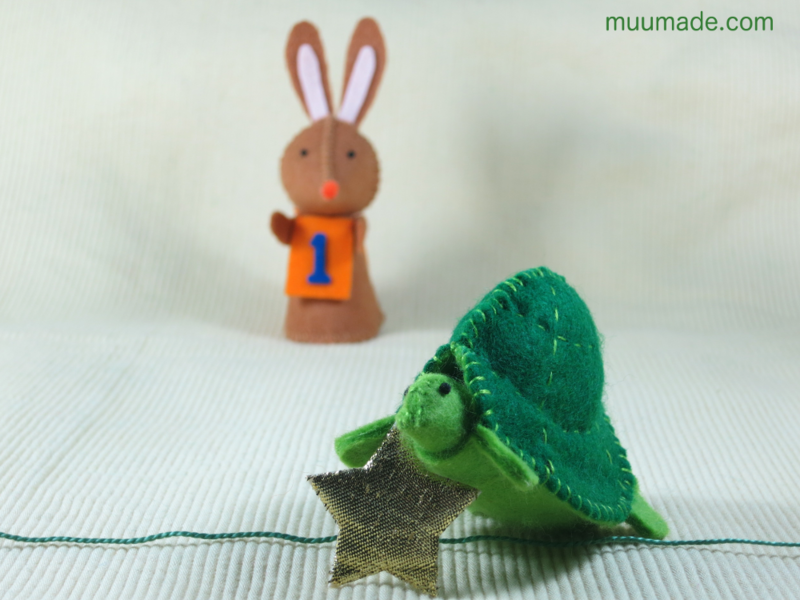 Slow but steady… I love this motto from the classic Aesop’s fable, The Tortoise and The Hare. 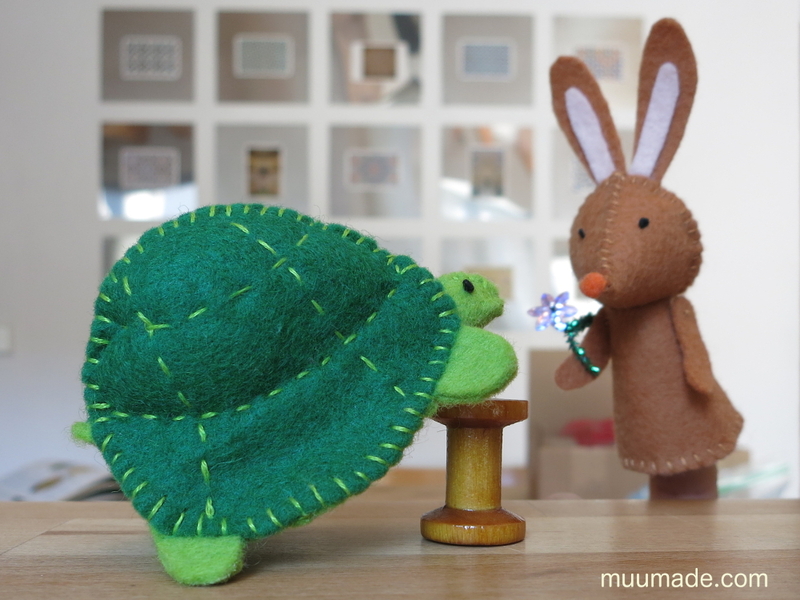 In fact I like it so much that I decided to make this finger puppet pair, A Hasty Hare & A Tardy Tortoise. You know the story, right? The tardy tortoise is slow but doesn’t give up. And he wins the race in the end! But, of course, these finger puppets do not always have to be the hasty hare and the tardy tortoise from that one story. They could be best friends, siblings, rivals…. As soon as you slip them onto your fingers, they will become whatever you want them to be. This download item is available from my online shop, muumade.etsy.com. You can also click on any photo above to go to its item page and download the instructions instantly upon purchase. 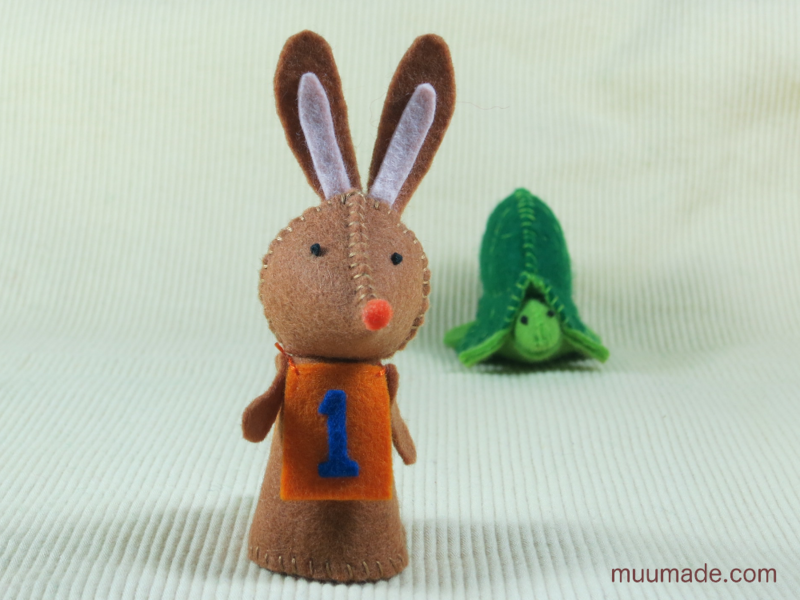 The hare and the tortoise patterns are also available individually.